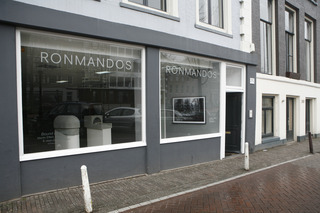 1999 saw Ron Mandos open up his first gallery in his 1920´s home in Rotterdam. Inspired by Jan Hoet´s ´Chambres d´amis´, Ron Mandos began to stimulate the interaction between artist, location, design and the public. This was carried out in a space rich in character and where the relation between art and gallery is of high and rich interest. After having operated successfully for a number of years here and also on the international art fair circuit, Ron Mandos branched out in 2006 by opening a second location in the heart of the Amsterdam gallery district. 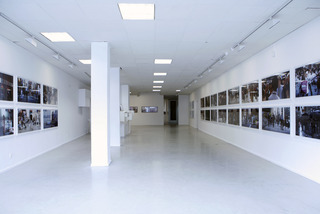 This spacious, stylish and ´clean´ looking gallery offers a unique counterbalance to the homely charm of the Rotterdam gallery and helps to provide the spacial diversity to continue giving a podium to the best young undiscovered talent as well as top international artists. Ron Mandos´ policy is directed towards presenting actual developments in contemporary art. It seeks to give a platform to those works where the complex interrelations of artist, artwork and everyday experience are played out and where new and dynamic ways of representation are continually sought so as to shed light on the unexpected and previously hidden aspects of everyday experience.